Epson continues to manufacture new models of printers for small and medium sized photo labs and copyshops all around the world, making them more reliable and cost efficient. 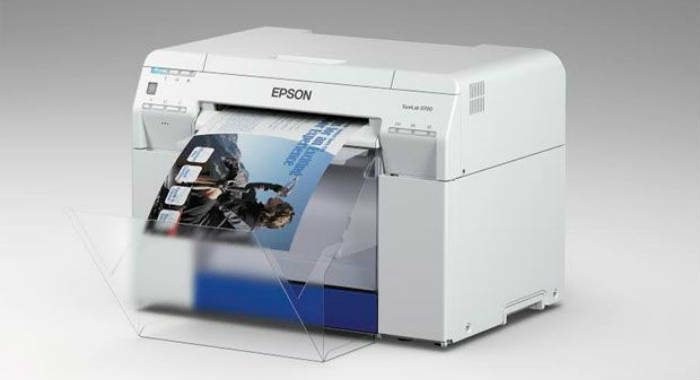 Meet a new Epson SureLab SL-D700. The first 6-color compact inkjet photo lab, providing high quality photo prints on diverse media of different sizes from 9 x 13 cm to 21 cm x 1 m long. It is a mini version of its top ranked SureLab D3000, which gained great popularity on the dry-photo technology market. utmost universality: the gadget is able to print photos, greeting cards, booklets, wedding albums, folders on photo glossy, matte or luster paper. high droductivity of 360 prints per hour (15,2 x 10,2 cm in Standard print quality mode) or 180 prints in high quality mode. The machine could be operated from common photo applications or from also available Epson proprietary OrderController V3.0 software at additional cost. Moreover, SureLab D700 is a part of Epson’s Pro Lab Imaging solutions’ offer, enhancing business, customizing products and helping meet the demands of new business opportunities. This entry was posted on Tuesday, November 25th, 2014 at 11:11 pm	and is filed under Epson. "The Inside 3D Printing Conference and Expo: Hot News from the Industry"